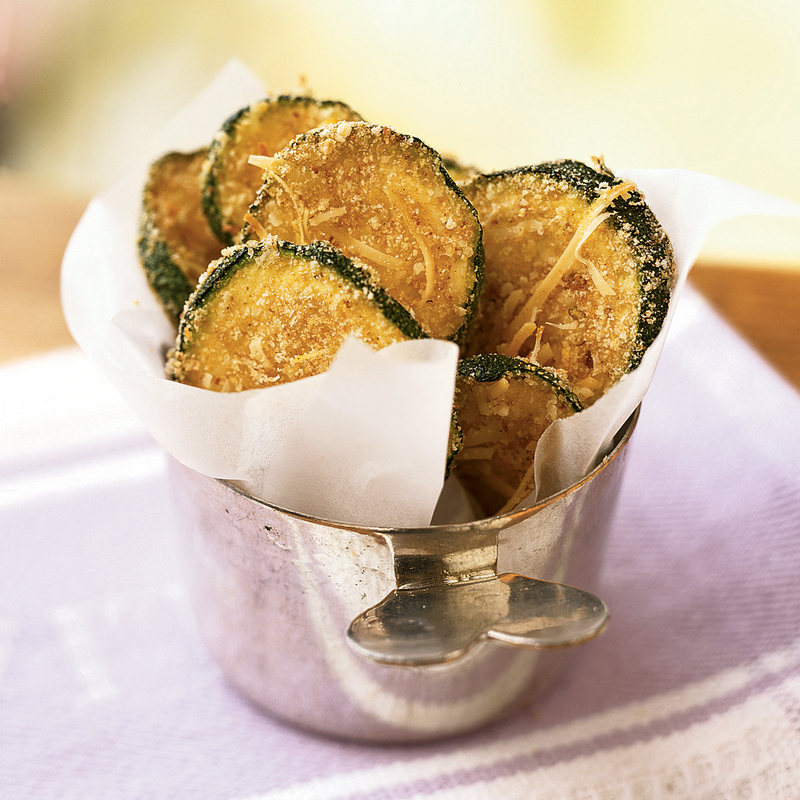 Breaded, oven-fried zucchini chips taste like they’re fried, yet they are baked and amazingly crispy. 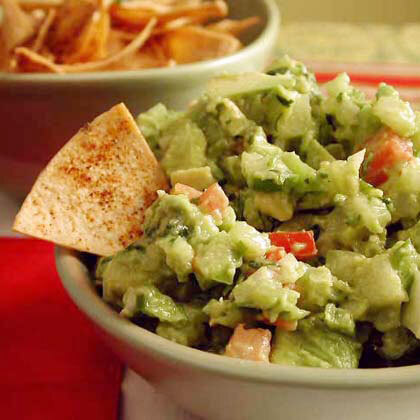 These chips make a healthy substitute for French fries or potato chips. 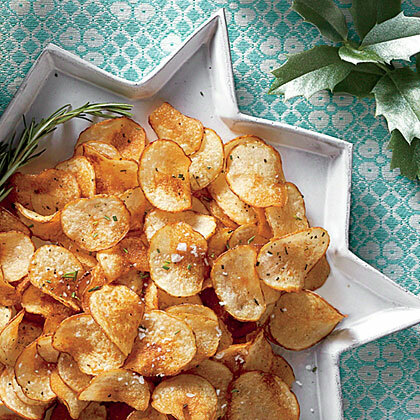 Serve these crispy baked chips as a side or an app. 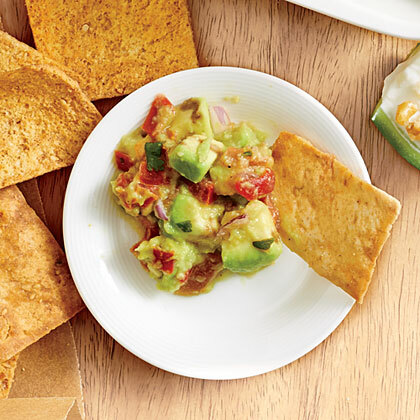 Combat hunger between meals with this healthy snack of Salsa Guac and Pita Chips. 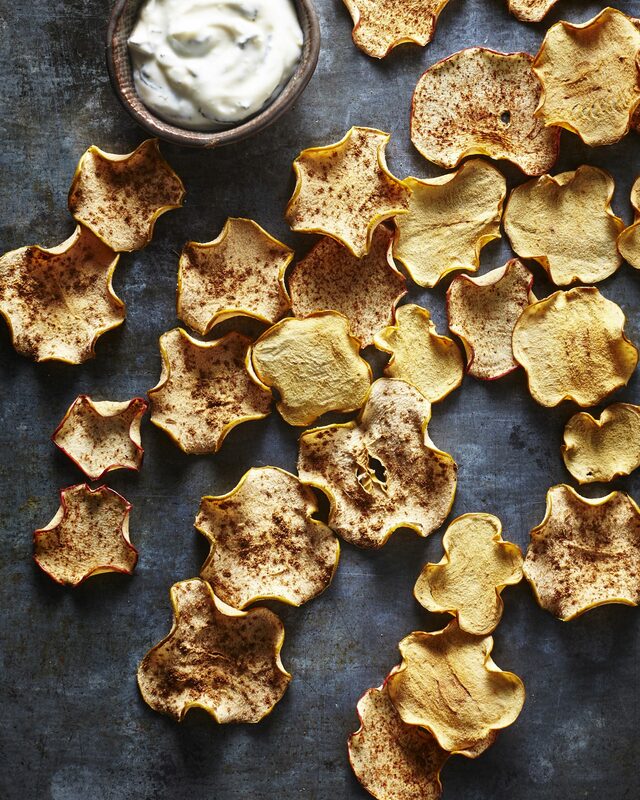 Your sweet, in-season fall apples are just begging to be made into fresh apple chips. For a more kid-friendly version, try our plain Apple Chips with Honey-Lemon Mint Yogurt. You can use a sharp knife if you don't have a mandoline, but your slices won't be quite as even. It's easier than you think to make homemade bagel chips! Simply slice your bagel of choice, coat in cooking spray, and bake until golden brown and crispy. 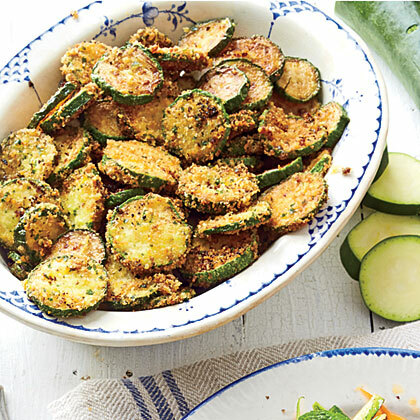 These crisp Baked Pickle Chips deliver tangy flavor and the crunch of the popular fried version. Pump up the flavor to your favorite pork or poultry cutlets with Cajun Potato Chips Coating. 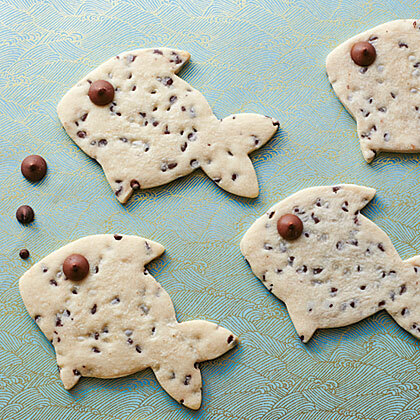 Delicious and oh-so cute, Fish-and-Chips Cookies can be made using your favorite fishy cookie cutter. Pita Chips & Chipotle Coating add crunch and a smoky hit of heat to your favorite pork or poultry cutlet. A homemade brine gives these chips a more delicate vinegar tang than mouth-puckering bagged varieties. They're the perfect chip for Roasted Shallot Dip. There's no need to buy pre-packaged apple chips when the real thing is so easy to make at home. 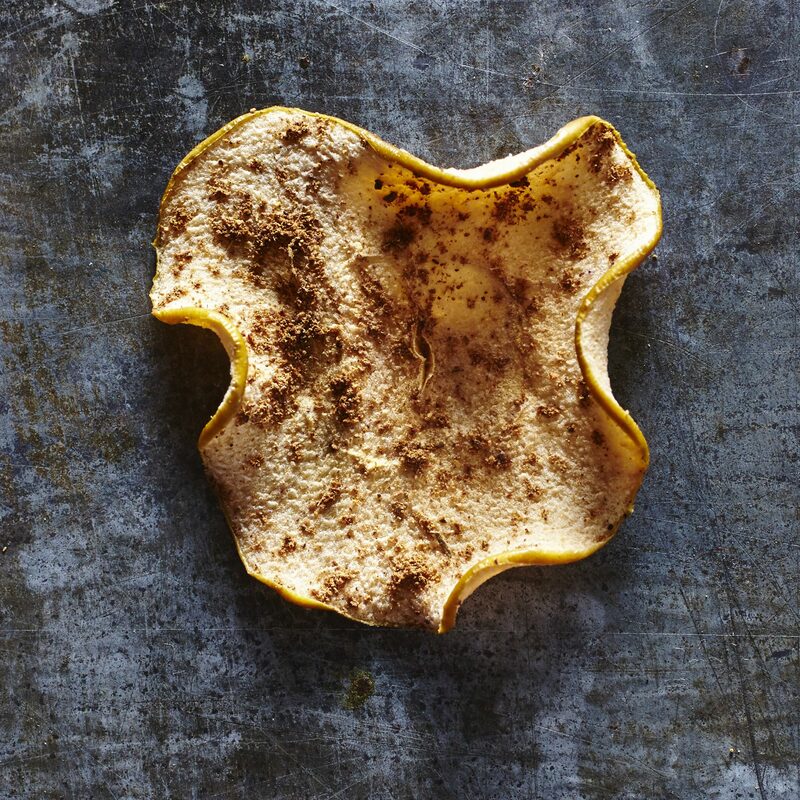 We love the sweet and tangy dip with plain apple chips, but you can also serve with apple chips coated in your favorite spice blend--like Apple Chips with Ancho Chile Cinnamon Sugar or Chinese Five Spiced Apple Chips. If you don't have a mandoline, you can use a sharp knife, but your slices won't be quite as even. 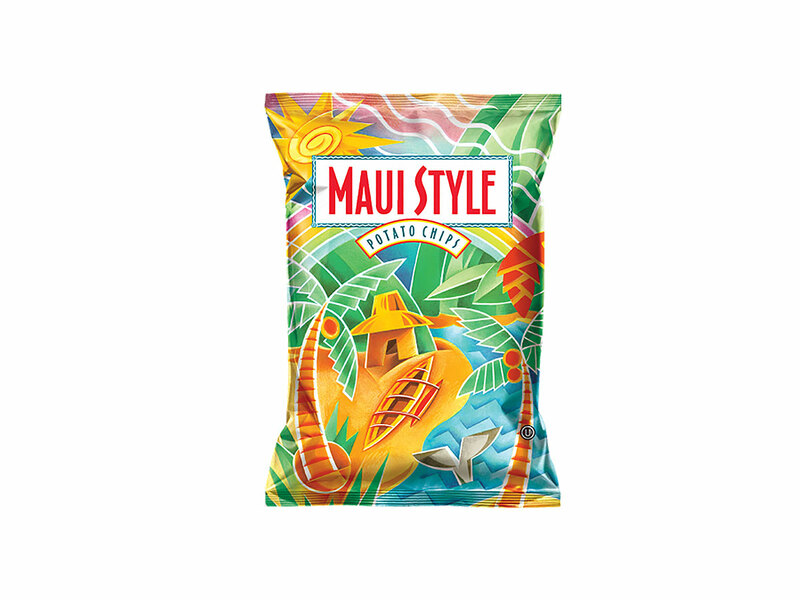 From a recent vacation in Hawaii, I brought back a sunburn, a few t-shirts, and three stowaway bags of potato chips. 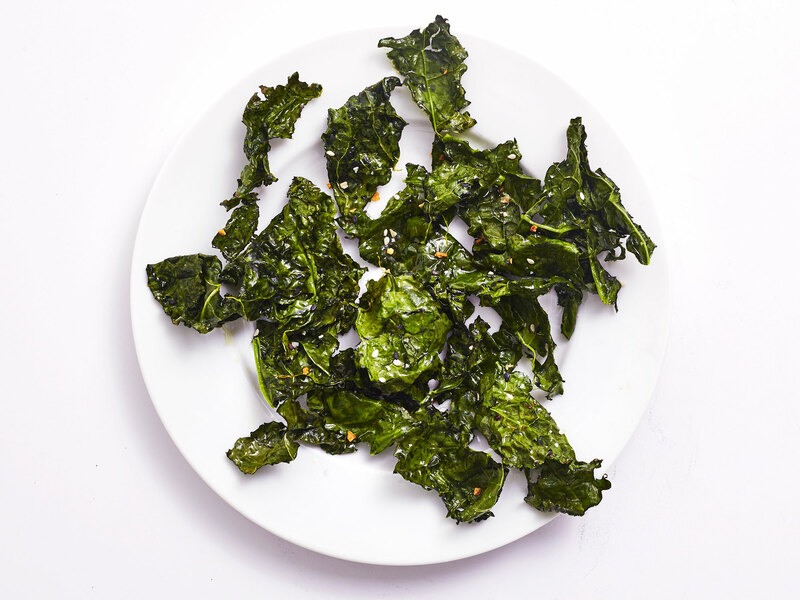 Welcome to your new go-to snack food—kale chips 2.0! These flavor-packed nutritious chips come out of the air fryer even crispier than they do from your regular oven. Store-bought everything bagel seasoning can be gorged with sodium. 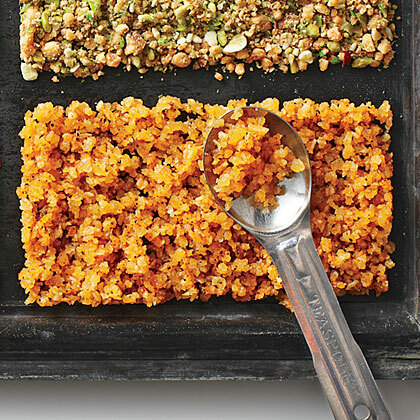 Our homemade version delivers the same flavor using staples you probably have hanging out in your spice cabinet. 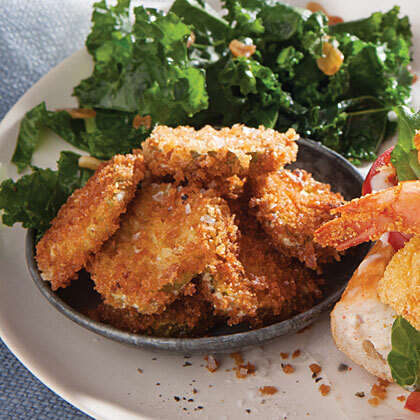 Shop for the perkiest fresh kale you can put your hands on—it yields the crispiest chips. 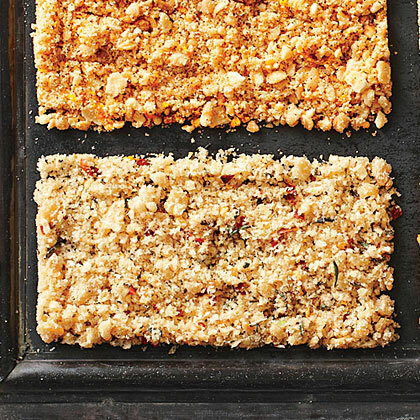 Whether you make these with parmesan or nutritional yeast (a great choice for vegans), the secret to their crisp texture is to avoid crowding the leaves on the baking sheets. Also, keep an eye on them—they can scorch quickly. Notes: Fried in oil, krupuk puff into crisp, featherweight, bubble-filled chips. 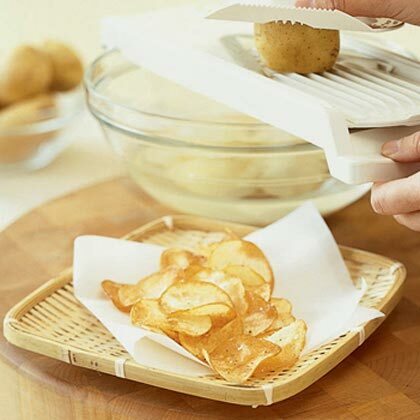 The chips can be fried up to 1 day ahead; store airtight.